Frank Schwindel’s two-run single in the top of the 10th inning carried the Omaha Storm Chasers to a 6-5 win over the New Orleans Baby Cakes in Monday afternoon’s season finale. The teams went back and forth throughout the night, with each team squandering leads. 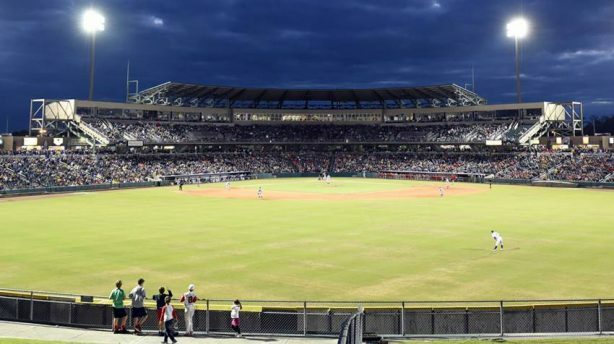 Dillon Peters had 12 strikeouts to tie a New Orleans franchise record in the Baby Cakes’ 2-0 shutout of the Nashville Sounds on Wednesday night. The General Manager of the New Orleans Baby Cakes talks about the team, franchise goals and more. Andy Ibanez crushed a first inning three-run home run and the Round Rock Express defeated the New Orleans Baby Cakes, 5-1, in the final game of a four game series.